Teachers are collectors. They collect and weave resources together in all kinds of ways. As part of planning lessons, building units, and designing courses, teachers collect and store stuff for ‘some day’. It used to be done with file folders full of ideas and worksheets which are now buried in a filing cabinet in the basement. With digital and electronic options, it’s become a disparate collection of links sprinkled across a variety of curation sites. It’s often a challenge to figure out where to start, which curation tool to use and for which purpose, since there isn’t one tool to rule them all. How do teachers apply specific curation tools. Two catalysts prompted these questions to reframe my thinking about curation, since I see curation as a necessary critical digital literacy. It is not just the digital collections we keep on Pinterest or YouTube, or the artifacts we create and share on Facebook. It’s the analysis and reflection about the items we put into our digitally curated collections and how we collaborate with others in the spaces where we chose to share what we’ve found. “In our information-rich age, not only is it necessary to curate, but creating content from curated resources is an excellent way to consolidate understanding and provides students with the opportunity to think critically and creatively” (Casa-Todd, 2018). In today’s classroom, curation is a strategy for critical digital literacy when students are using, analyzing, code breaking, making sense, reflecting, creating collections, and developing their digital identity. She asks a question at the end – “What is a curation tool you use to curate social media links?” which triggered my thinking. So, my first response is – blogs are a form of curation. This is not a new idea but has been heightened by a post written by Alan Levine, aka @cogdog, (Storify Bites the Dust) about using WordPress as a self directed curation tool. Jennifer’s blog post came to my attention through a curation of blogs done by Doug Peterson (@dougpete) in This Week in Ontario EduBlogs. Each week, Doug collects, analyzes, reflects on and shares a selection of blogs from Ontario educators. This is further shared into digital spaces through Twitter under the #FollowFriday hashtag (a form of curating a conversation). Doug extends the conversation on another curation resource, his VoiceEd.ca podcast. VoiceEd.ca has a curated bank of podcasts relevant to a variety of topics in education. So, my second response is – podcasts are a form of curation. Second catalyst: a conversation with Sarah Lalonde as we talked together for an upcoming edition of her podcast Que Sera Sarah? She pondered how teachers can manage to learn about, learn with and find digital technologies for their teaching practice. Since there are so many tools, techniques and applications (apps) that teachers can and are using in their planning and design of lessons and units, it’s a challenge to figure out which ones to use, when to use them, how to integrate them into classroom use, where to support students to use them, etc. This is where educators who build curated resources can support one another as they share in the open – and that’s where critical digital literacies are applied. It’s not just about building a collection, for example popping a pinned resource onto a Pinterest board. It’s about refining, defining, analyzing and reflecting in openly curated ways that will help other educators, designers of educational resources and even students see how these particular tools, resources and apps can become effective pedagogical resources in the classroom. It’s less about sharing, for example an ABC chart of apps for Chromebook users, in a variety of curated collections and locations (Pinterest, LiveBinders, Evernote, Diigo, Symbaloo, Thinglink, etc), and more about digging into those apps and sharing the affordances, barriers, issues and benefits of using and creating with those tools in the classroom. Maybe it’s creating a curated, annotated bibliography of educational technology tools that is crowdsourced similar to Ed Shelf, but one where pedagogical and classroom integrations are shared and discussed. It could be more like ones I’ve curated for the A Kid’s Guide to Canada project to introduce educational technology resources for specific purposes. It should be more like building collections with purpose such as I’ve done with #CLMOOC where educators try different tools for specific purposes and share results and reflections in a collaborative community space. Curation is the web we weave. Curation is about individual, collective and shared reflections that will improve teaching and learning in some incremental way. Mihailidis & Cohen state “the preservation and organization of content online is now largely the responsibility of the individual in highly personalized information spaces. This has created a need to understand how individuals choose to pull together, sift through, organize, and present information within these spaces. Sharing, appropriation, and peer-to-peer collaboration are at the centre”. For educators, it shifts our thinking. It’s about thinking like an archivist and acting like a librarian while critically pondering the WHY before embedding the artifact, connecting the code, adding the tags, or applying the html link. It’s reflecting and connecting. It’s a weaving within our own minds and reweaving between our chosen digital resources, It starts as a solitary process, reaches out to others in open, web-connected spaces and comes back to solitary reflections on actions, in action, for learning. It’s how I chose to weave the web I want. So I’ll add my own question to Jennifer Casa-Todd’s – As an educator, teacher, learner and open educational practitioner how do you define curation? How do you build curated resources reflexively, alone and together? Casa-Todd, J. (2018, January 4). Content curation: A necessary skill for today’s learner. [weblog]. 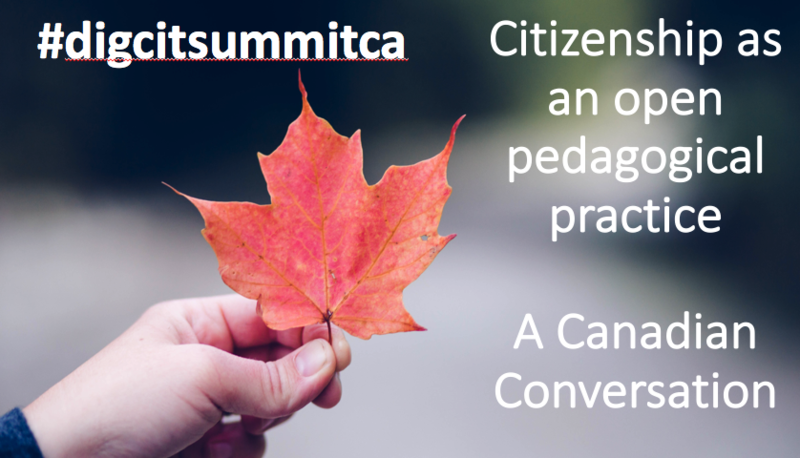 Quote | This entry was posted in Talking, Teaching, Together and tagged AKGTCanada, Alan Levine, CLMOOC, critical digital literacy, curating, curation, Doug Peterson, Jennifer Casa-Todd, reflection, reflexive, Terry Greene, VoiceEd.ca. Bookmark the permalink. Helen, I’m so glad I’ve found you as a blogger. You ask questions I think about, and I so much appreciate you creating curated links to go with your thinking here. One of the things I am doing, on this year out of the classroom, is working on some curation tasks. It might be creating Flipboards or Symbaloos around a particular topic to use next year. It might be digging into previously curated lists, to purge what really doesn’t make sense to me anymore (this needs more doing). It’s always thinking about where I want to place an artifact, who might benefit from it, and how best to share it. Curation is something of a passion for me. I remember sitting, introducing two friends to Twitter as a learning tool – and I asked them to think about how they wanted to organize what they were finding, mostly so that they could share it with others. They both were a little gobsmacked because they hadn’t followed through that line of thinking yet. I think it is vitally important that we teach our students to think about curation. When they are researching a topic, where might they keep interesting links that they find, so they can go back to them (even for bibliographic purposes). Are the techniques/tools going to be different for visual learners and auditory processors? What about kids who actually like text? Thanks for the poke – so much appreciated. I curate so much that I’m not sure where I end and the curation begins! I did it when I made mixed tapes as a teenager. I did it when I needed to have that t-shirt in every colour. Stamps on my passport, films I want to read, postcards from other people’s travels, art from places I’ve seen, and of course, books in my library. When I add a social media element, I just get so excited about sharing what I’ve been curating and finding other people like myself who get it. The skill of curating for academic purposes is, I believe, the key to being adaptable. I make my own curated lists in Goodreads, Evernote, Pinterest, Flipboard, and I tag things multiple times. Often the tags are things that I’ve currently thinking about and won’t turn into anything tangible for years. Curating helps me clear my mind, to build ideas, to collaborate on projects and to generally feel optimistic! Livebinder was such a great idea but it just didn’t seem to go far enough. I still mourn the loss of Google Reader but I’m learning to love other tools that track my students writing outside of a walled garden. At work, I curate (with my team) a bookmark list of relevant readings on Diigo. I tag and annotate there, but there’s very little indication that people outside the office are reading it directly. So I spit the resources out to my organization’s social media presence, where Twitter posts occasionally get likes and retweets (but very little discussion) and Facebook posts get likes and occasional discussion (but few re-shares, although the Mighty FB Algorithm being what it is, a comment functions a little like a share). I think this would be a great collaboration in a ‘summer project’. Moving beyond individual curation and into groups/collaborative annotated and ‘voted’ collections would be a next step for me.